Vegan MoFo 2015 | Rise and Shine | What’s For Breakfast? It’s September, which can only mean one thing: Vegan Month of Food! For the next month, I’ll be aiming to blog every single day (although how well that goes remains to be seen…). Following the official Vegan MoFo blogging prompts, I hope to provide you with interesting plant-based food posts throughout the entire month. 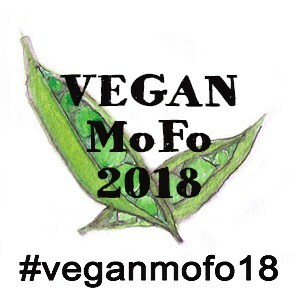 You can find every single one of my past Vegan MoFo posts (this year’s and those from the past few years) by clicking the tomato in the sidebar, or the footer if you’re visiting on a mobile device. We’re starting off with an easy one: Breakfast. At the moment, one of my go-to breakfasts is porridge, but when I feel like a change, I’ve been having some toast with peanut butter and fruit on the side. I loooove watermelon, but the season is kind of ending now, so I’m switching it up with whatever I can find: berries, apples, bananas, satsumas… it keeps me full until my mid-morning snack and is super satisfying, especially with a cup of fruity tea. What’s your go-to breakfast? And what do you make when you fancy something a little more special? My go-to breakfast at the moment is soya yoghurt with granola but I change it up pretty regularly depending on the weather, where I am in the world and whether or not I have a kitchen! Mmm, watermelon for breakfast sounds lovely. My usual breakfast is overnight oats but if I have more time I like a fry up, breakfast burrito or an omelette.